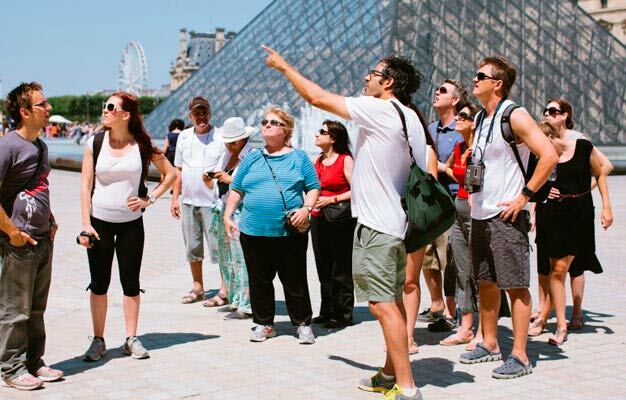 Join us for a fun and informative walking tour around Paris! See all of the major highlights. It's the perfect trip for those with limited time in Paris! The Classic Paris Walking Tour offers a complete overview of Paris. Virtually every major site in the city center is covered and you'll get a great sense of the city's layout. This quintessential tour is a must for anyone looking to see it all in a very short amount of time. The tour starts at the Fat Tire Tours office. The address will be on your e-ticket. Please be there 15 minutes before your tour starts. Monday at 10 AM, Wednesday & Friday at 2 PM.